In the latest step in potential fracking in the borough, planners at Rotherham Council have ruled that a second proposed test drilling operation on a Greenbelt site by INEOS, "would not be likely to have significant effects on the environment" in relation to national planning guidelines. 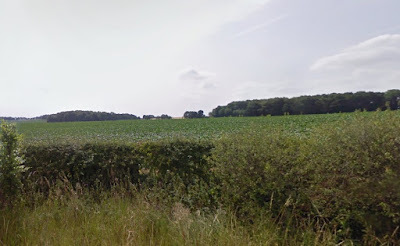 INEOS recently submitted a planning application for its first exploration site in the borough - at a site between the villages of Harthill and Thorpe Salvin. Both sites have been identified as being in an area of interest to INEOS based on existing seismic data. The proposals involve building a drilling rig and drilling vertically, deep into the ground to find out how much gas is in the shale. This does not involve fracking. INEOS is working with consultants at Turley on the plans. Rotherham Council has now determined if the project falls within the remit of the Environmental Impact Assessment (EIA) Regulations - whether it were likely to have "significant effects on the environment by virtue of factors such as its nature, size or location." The authority's planners have ruled that it does not, as they did for the Harthill site. The regulations were established as part of national planning policies to ensure that local planning authorities make decisions in the full knowledge of the likely significant effects, and takes this into account in the decision making process. The subsequent application would provide temporary permission for a maximum of five years and the operation would involve months of various site investigation surveys and site preparation before a period of drilling, coring and testing. The site would be restored after the activity has taken place and tests will be carried out on the suitability of the area for hydraulic fracturing. Even at up to 60m in height, the drilling rig, the size of the proposed development is not considered to be significant in its effects in the context of the regulations. A rig is only likely to be on site for five months. Other impacts have also been considered, including visual and landscape impacts, ecology, noise, flood risk and traffic. The council report concludes: "It could be claimed that the proposed development represents preparatory works for a more substantial development [fracking] and as such should not be considered in isolation. "If considered as an integral part of a wider single development project then EIA might be required in respect of the whole project. However in this case, having regard to the exploratory purpose of the proposed vertical well, it would be possible for the well development to proceed without any extractive developments following from it. Therefore this does not appear to be a case of a proposal which for the purpose of screening is to be regarded as an integral part of an inevitably more substantial development." A detailed planning application, which is still likely to include an environmental impact assessment, is now expected to be submitted. INEOS' Harthill application is scheduled to go to a special planning board meeting in November. A motion has been put forward for debate at the next full Council meeting that, if agreed, would not allow any fracking activities, including survey work, on Council owned or controlled land and property.